When you are booking a cruise, the last thing you want to think about is the possibility of needing emergency medical insurance. But let’s get real for second: it may be one of the most important trips to purchase emergency travel medical insurance. Travel medical benefits can either be part of a comprehensive insurance plan, or for those traveling abroad, as part of a cruise insurance plan with medical coverage. 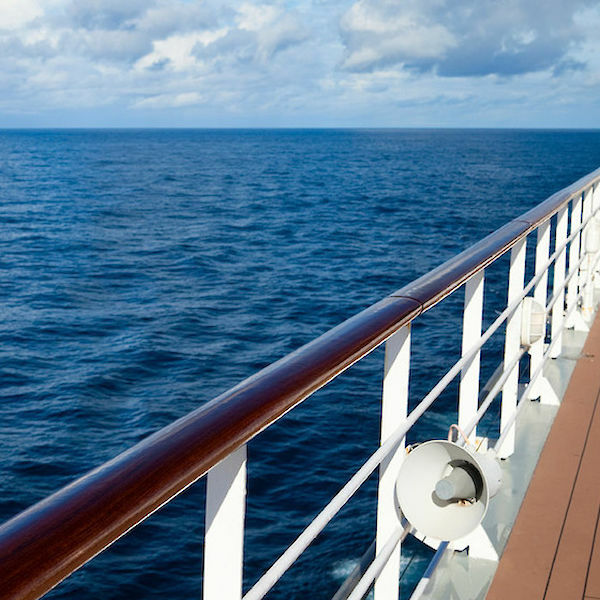 When you are on a cruise, there is a substantial amount of time that you will be on the open water – with no direct access to top-notch medical facilities. While the medical facilities on cruises are great for what they are, they are, just simply, not equipped with the tools or experience necessary to take care of serious illnesses or injuries. For this reason, the medical staff on the ship will do their best to care for a traveler in their facilities, while making arrangements to get them to a hospital as soon as they dock. This means your care – and bills – will be coming from the hospital at port. This could be an island or a landlocked city, but the odds are it is not near your home. If you’re injured or become ill while traveling abroad, a travel medical plan can help to reimburse you for costly medical bills. Keep in mind, travel medical plans do have exclusions from coverages, like adventure sports activities and sometimes pre-existing conditions. For the most part this medical coverage will act as secondary insurance to your primary health care and require that you do have a separate health insurance plan. Of course, some plans built specifically for travel medical coverage do not require you to have a primary health insurance plan for travel medical coverage. Also, with most comprehensive travel insurance plans, emergency medical evacuation coverage is available. This will ensure that you will be transported, if the travel insurance company and the attending physician decide that a different medical facility would give more specific care for your illness or injury. So while we hope none of our travelers ever need to use the emergency medical or emergency evacuation coverage on their plan, it can fill the gaps of your primary health insurance while traveling abroad. It will give you peace of mind that a covered medical incident during your trip won’t leave you with a financial hardship. We have coverage for all except Hospitalization and Doctors charges. Can we find a policy for only that? Yes. Please fill out the quote form with your trip details and once you arrive on the results page, please view the plans under the medical tab. Our single trip medical plans provide both medical and medical evacuation coverage when traveling outside of your home country. Medical Insurance Only. We are traveling internationally and have certain coverage through my credit card , but need additional coverage for emergency medical. Who offers emergency medical abroad only. Can it be for longer than a single tripl. Please fill out the quote form with your trip details and once you arrive on the results page, please view the plans under the medical tab. Our single trip medical plans provide both medical and medical evacuation coverage when traveling outside of your home country. If you wanted annual coverage, please view the plans that have "multi-trip" in their name under the medical tab. Is Medicare considered primary insurance? Generally, Medicare is considered Primary insurance. Please double check the policy certificate accordingly to see if they specify what Primary insurance means. For groups that include more than 10 travelers, we would suggest contacting a group agent at (800) 691-9159 to see if you qualify for a group rate. My #1 concern is the ability to request medical evacuation back home if I'm hurt and taken to a med facility in the caribbean islands or another country. My primary insurance already covers care out of country and also covers med evac - but the catch: only IF the insurance company agrees it's medically necessary to evac me. I don't want to be stranded at a hospital in a foreign country an extra few days or weeks where I don't speak the language and don't know anyone, because a claims agent at Aetna decides it's not urgent enough to spend the extra money to evac me out and I can just wait to fly home on regular coach. Can you advise me re: whether these secondary policies give me the choice to be evac'd out? For this type of concern, we suggest viewing plans from OnCall International and MedJet Assist. With these providers, you can choose where you want to be evacuated to at your discretion, as long as you are in a stable condition at the local hospital or medical facility.